This brochure offers numerical models of wind-induced aeolian vibrations and sub-span oscillations of the conductors. 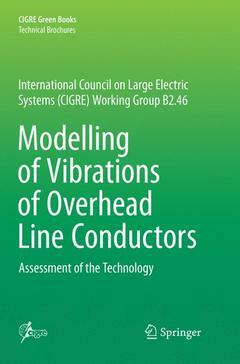 It highlights what can be expected from numerical models regarding conductor vibrations. This work reports the state of the art for professionals regarding aeolian vibrations and subspan oscillations modelling. Modelling of aeolian vibrations of single conductors.- Modelling of aeolian vibrations of single conductors plus damper.- Modelling of aeolian vibrations of single conductors strung at relatively high tensile load.- Modelling of aeolian vibrations of bundled conductors; Modelling of sub-span oscillations of bundle conductor.